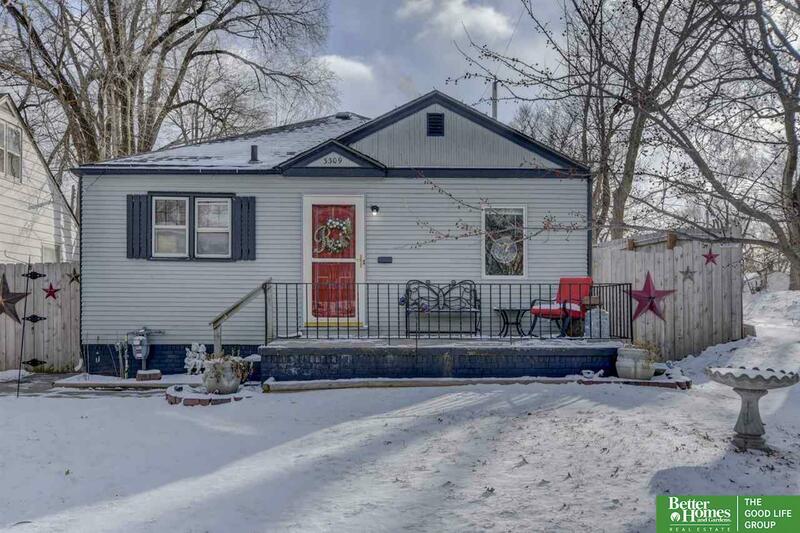 This charming home is just too cute and is move in ready! Check out the spacious remodeled kitchen with tons of cabinetry! Very new Maytag Stainless Steel Appliances included! Handy built-ins in the hallway. Two large bedrooms on the main plus a 3rd bedroom in the basement. There is a large flex room for hobbies or exercise plus plenty of storage in the full basement! Enjoy entertaining this summer in the huge, private backyard oasis. There is plenty of off-street parking including a parking pad off the alley. Just minutes away from Metro Tech and easy interstate access. Close to downtown Omaha and Creighton Univ. Perfect for first time buyers or investors! Home is being sold AS IS - no repairs to the seller.